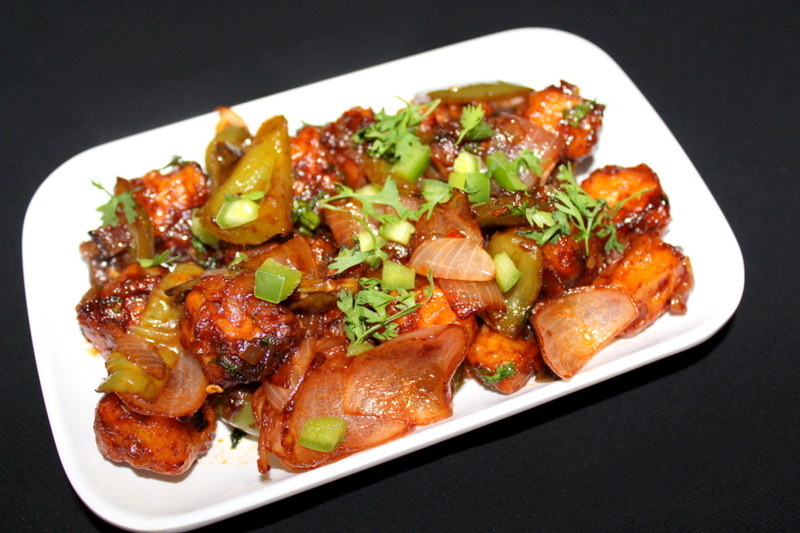 Chilli paneer made with a dry and gravy version with detailed step by step and video procedure. Here I have used cottage cheese/paneer to make chilli paneer. Chilli paneer posted here is a dry version of the indo chinese paneer recipe. We all love indo chinese recipe and every indo chinese recipe is liked by most of the Indians. 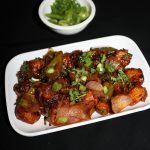 Indo chinese cuisine is usually made using chicken but, for all the vegetarians, paneer is an amazing substitute for chicken and it absolutely gives the perfect flavor as chicken. 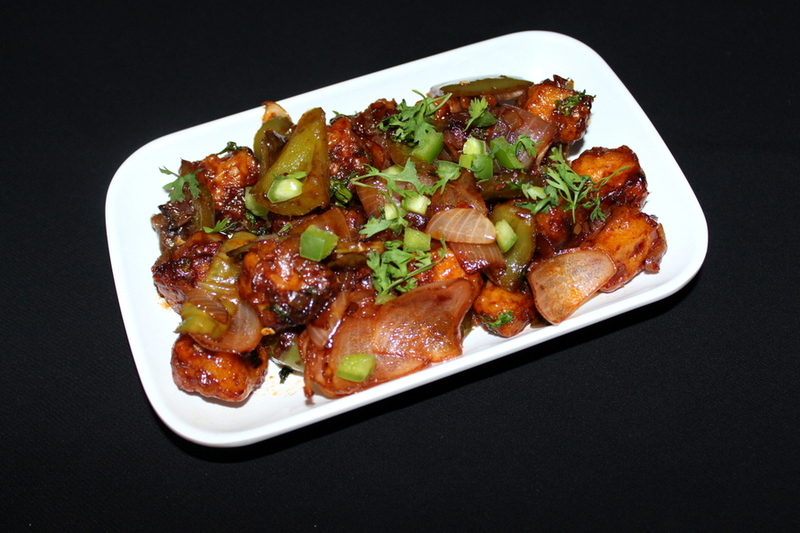 Here in this recipe, I have made chilli paneer dry by deep frying paneer cubes and sauteing them in yummy sauces. The sauces used here are tomato sauce and red chilli sauce which give an amazing taste to the chilli paneer. Here I have made the dry version of chilli paneer, but the gravy version of chilli paneer is made by adding more water and more quantity of corn starch which gives us a delicious gravy to the chilli paneer. The chilli paneer gravy is similar to this recipe but the only difference is adding more corn starch and more water. There are lots of paneer recipes that can be made and I shall be updating many more paneer recipes as I keep blogging. When I started making paneer recipes, I just fell in love with paneer and I would now like to try every version of paneer recipe. Paneer is very good for health and is full of proteins and I would suggest paneer to be included in everyone’s diet once in a while. A quick and easy snack and a starter recipe made using paneer called as chilli paneer where paneer is deep fried and sauteed in some sauces. Firstly, in a bowl, add maida/all purpose flour, corn flour, salt, water, mix well and make a slightly thick batter without any lumps. Add paneer cubes, mix carefully and marinate for 10 minutes. In a wok add oil for deep frying and heat it. Drop the marinated paneer cubes, deep fry until they turn crisp golden color. Take them out on a tissue paper and keep aside. In a wok, add oil and heat it. Add chopped garlic, chopped ginger, saute until raw smell disappears. Add slit green chillies and saute for few seconds. Add very finely chopped onions, saute the onions until they turn soft. Add tomato sauce, red chilli sauce, soya sauce, vinegar, add salt as per taste, add black pepper powder, half a cup of water, mix well. Add corn flour starch, add the fried paneer cubes, saute well. Add red chilli powder mixed well with some water. Mix the chilli paneer delicately and saute for about two minutes. Add chopped coriander leaves, mix well and saute for a minute. 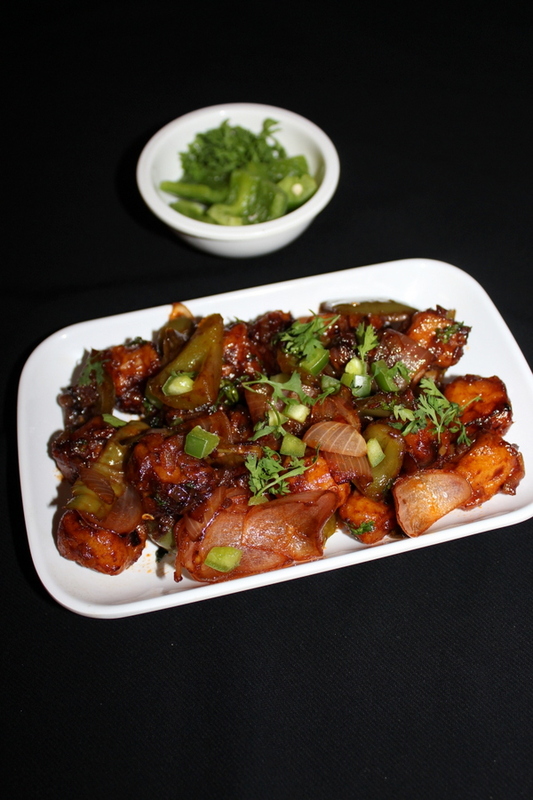 Chilli paneer is ready to be served. Watch the video procedure above. 1. 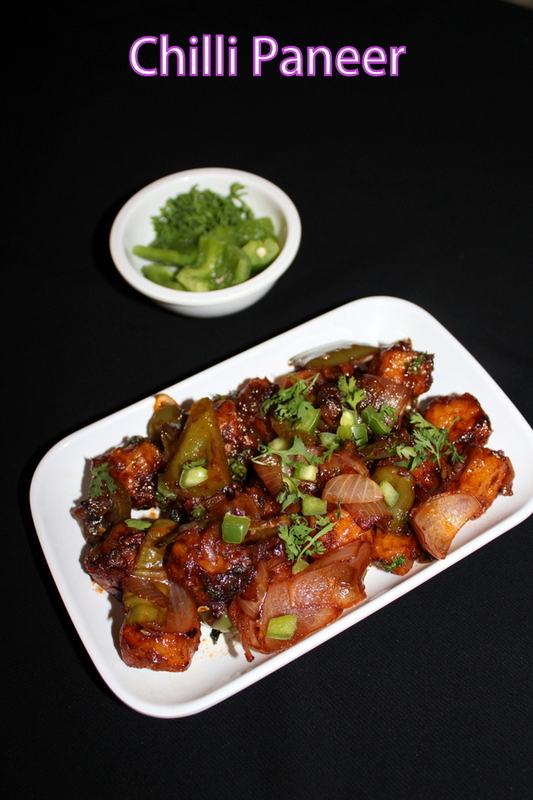 Do not deep fry the paneer cubes for a long time as the paneer may turn hard and chewy. 2.The gravy version of chilli paneer is made by adding more quantity of water and more quantity of corn starch while sauteing them in sauces. Tried this recipe?Mention @yummyindiankitchen or tag #yummyindiankitchen!